GREETINGS from Paradiseo! 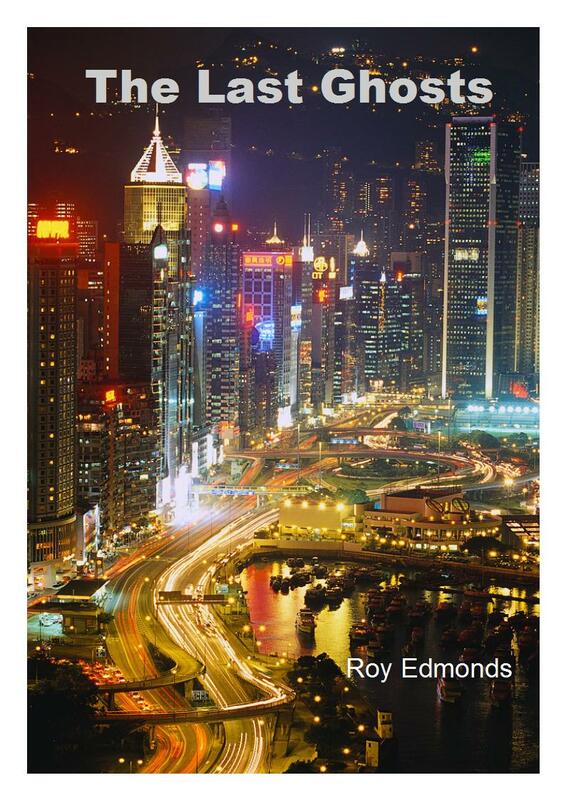 I'm Ed Black, posting to you as Roy is busy proofing his next novel At Heaven's Gate for the Christmas rush. Here in the Aegean our island is at last free of tourists. But now we have the Greek army to contend with. They arrive every year around this time to go hunting. It's an alarming sight! But first, let me recommend some further autumn reading for you. I'm keeping my head down in front of a log fire at my closed cocktail bar/grille in the Old Harbour. 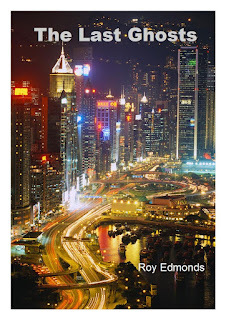 Roy's novel The Last Ghosts is a terrific read - a murder, mystery thriller - set in Hong Kong. It takes me back to my times on that island, in the 80s onwards, when I ran into Roy at Britain's last great crown colony. I was in P.R. and he was reporting on the local paper. His novel catches the mood of those changing times perfectly. Of course, I also recommend my own spicy and funny tale from that period, Romp & Circumstance, but that is only availble on kindle. Any way, back to Paradiseo. My place, Black Velvet in the picturesque Old Harbour, is closed for the winter and my girlfriend Diana and myself enjoying the relative quiet. Besides, it's not safe to go up into the hills! The army lads arrived on the ferry in their camouflage gear and on a motley collection of old motorbikes while armed with various carbines. They were all unshaven and still drunk from R & R in Athens. Now they're up in our pine-covered hills searching for game and shooting anything that moves. It's a wild time but, at least, they are our troops. The island, like most others in the beautiful Aegean, has seen many intruders and bloody occupations. While I'm a gentle Cheshire-born chap, I understand the locals' plucky patriotism and pride. They're stubbornly independent and so am I. On the promenade near the new harbour there is a statue to fearful heroine Bouboulina, the island's seafaring warrior queen who gave invading Turks a good hiding. She's a formidable lady, like many of the other old birds here dressed in black and lined with age and suffering. I respect them but hope my Diana doesn't turn out the same! Fortunately, the off-duty soldiers will soon exhaust their chest belts of ammo and go back to their mainland barracks. Then we shall all be looking forward to Christmas, peace for mankind and, hopefully, a better New Year.